Start time is 11:00 a.m. If you have a conflict with this time, please let us know and we will try to find a suitable time. Groups run with maximum 10 people. Please enter the address of your accommodation in Lanzarote into the booking form note field. Please bring a swimsuit, towel, sunscreen and a smile. Previous experience is not necessary, but you should have a decent level of physical fitness. If you ever wanted to walk on the moon, Lanzarote might be the closest you ever get. The lunar atmosphere of volcanic cones, craters, and hills of orange rock formed from a 6-year volcanic eruption in the 18th century. 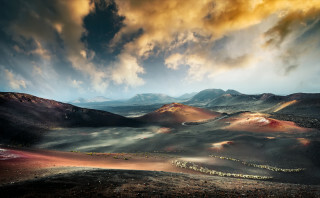 Today, the aftermath of this explosion creates Lanzarote's modern, unique landscape. Walk through the island’s dormant volcanoes and learn about the landscape on an active discovery tour. Your guide picks you up from your accommodation to drive you to the walking area. After you’ve discussed your desired difficulty level and pace, you head off on your trek. Walk over a volcano and explore the rugged landscape from the past explosion. When you pass by a vineyard, you may not recognize it. Fields of black soil and shallow holes lined with tiny rock walls are actually full of growing grapevines. Admire these peculiar fields and learn about how they came to exist. 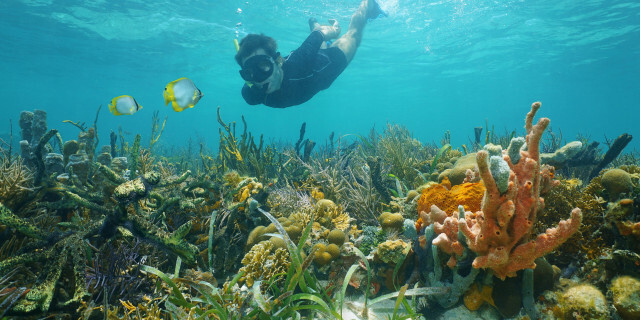 As you stroll your guide provides informative commentary on the geology, wildlife, and local culture. With broad massifs and wide valleys, the walk continues for 10 km (6 mi). This length is flexible depending on your preferences. No matter the length, enjoy the sharp contrast of the orange-tinted rocks against the bright blue skies as you reach sweeping views. 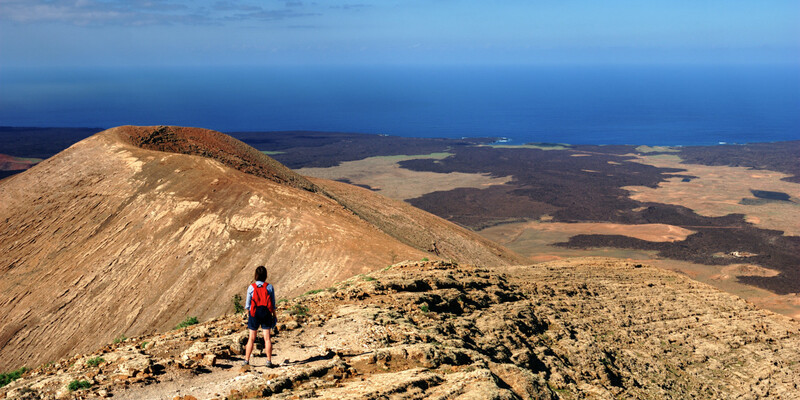 Explore Lanzarote's otherworldy environment on foot and marvel at nature's formations. While the nickname “island of 1,000 volcanoes” sounds alarming, today there are actually only around 150 volcanoes on Lanzarote. But don't worry, unlike you on this walking tour, they're all inactive. 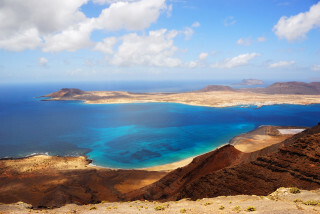 Test your cycling as you discover Lanzarote’s volcanic landscape of hill and 213 km (132 mi) of orange rocky coastline.